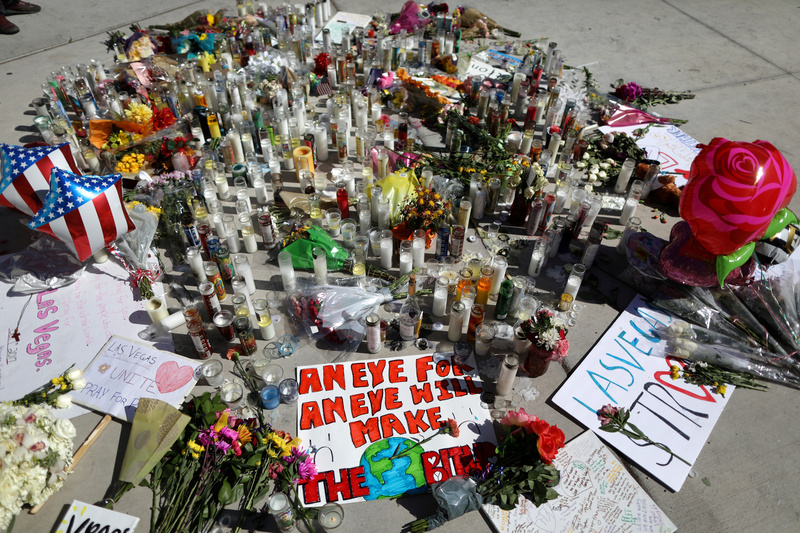 Stephen Paddock killed 58 people in the deadliest mass shooting in modern U.S. history for “infamy,” but FBI investigators could not uncover any motive beyond that, the FBI told the Associated Press. Paddock opened fire on a crowd of concert-goers in Las Vegas on Oct. 17, 2017. He set up a 23-gun armory in a Mandalay Bay casino suite with a view overlooking the Strip and the Route 91 Harvest Festival. Paddock used a Mandalay Bay service elevator to stock his room with firepower. Paddock received special treatment at the casino because of his substantial gambling habits, and employees rarely questioned him as he carried bags and cases up to his room. Paddock fired roughly 1,000 shots into a crowd of roughly 22,000 over the course of about 10 minutes. He killed 58 and wounded about 900 more. He shot and killed himself before police were able to apprehend him.